“X” is for X FACTOR! 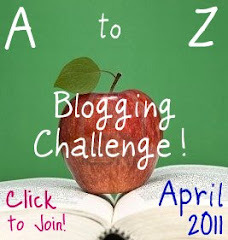 I bet you thought the letter “X” would stump me for the A to Z Blogging Challenge, huh… Yeah, well, so did I! I was admittedly close to breaking the rules and trying to pass off “X-ecution” or “X-calibur” and spiraling off on a medieval England tangent. But no, today is all about the very now “X factor,” that “je ne sais quoi,” that little something that’s tough to put a finger on but easy enough to find when putting a finger on the remote control. And, hey, X Factor is coming to the US in its American incarnation this September!! Auditions began last month, and Cheryl Cole is slated to judge that one as well. The show will air on the FOX network in the US. X Factor airs on ITV here in the UK. I’m not certain when its 8th season (or “series,” as they call it in England) starts, but their final auditions were earlier this month. Also as of this April, the series 7 finalists have concluded their Live UK tour. So if you’re moving to London from the US before X Factor USA comes out and likewise need your Idol fix, just sit tight and hopefully X Factor UK will be back on the air before long!